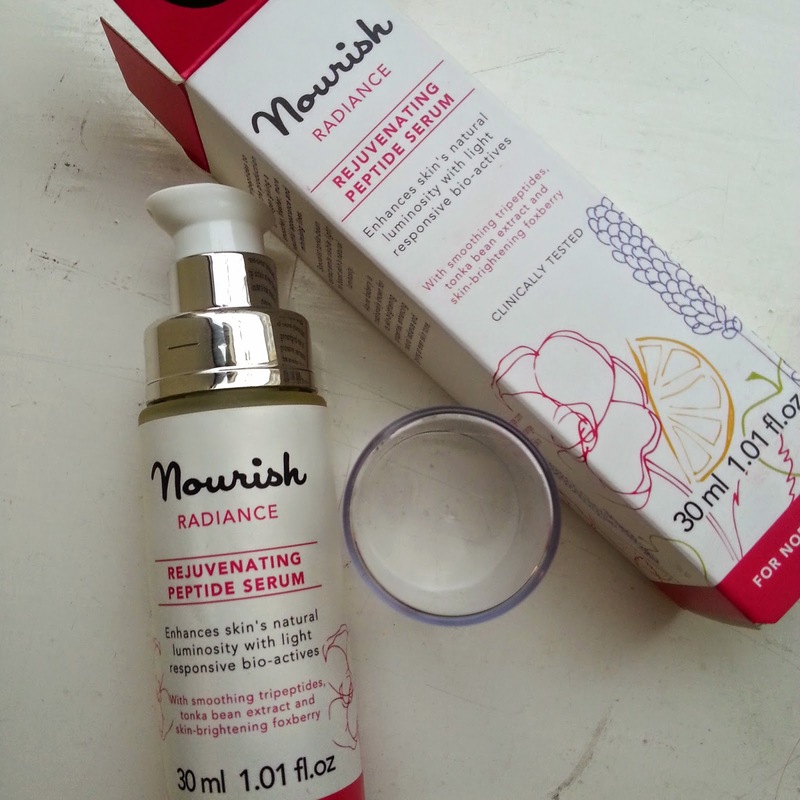 One of my favourite beauty brands, who I am always happy to praise due to the consistent high quality of their skin care, is Nourish. I adore their products and just cannot get enough of them. Because of that, when I was sent an email asking if I would like to try out the Rejuvenating Peptide Serum* I was only too happy to oblige. The serum is designed to stimulate the production of collagen, using foxberry and tripeptides. This helps to give a smoother, fresher and more youthful appearance and also minimises the visibility of fine lines. Alpine foxberry is traditionally known for having skin-brightening properties and when used in skin care it is wonderful for giving a more even skin tone. The product also uses tonka-bean extract which emits visible light, helping to enhance the skin's natural luminosity. This serum makes skin feel amazing! It is light and nourishing and sinks into the skin really quickly but leaves it feeling completely hydrated and super soft to touch. When I got mum to test it out there was an instant visible difference to fine lines an the whole face had a bright, healthy look to it. 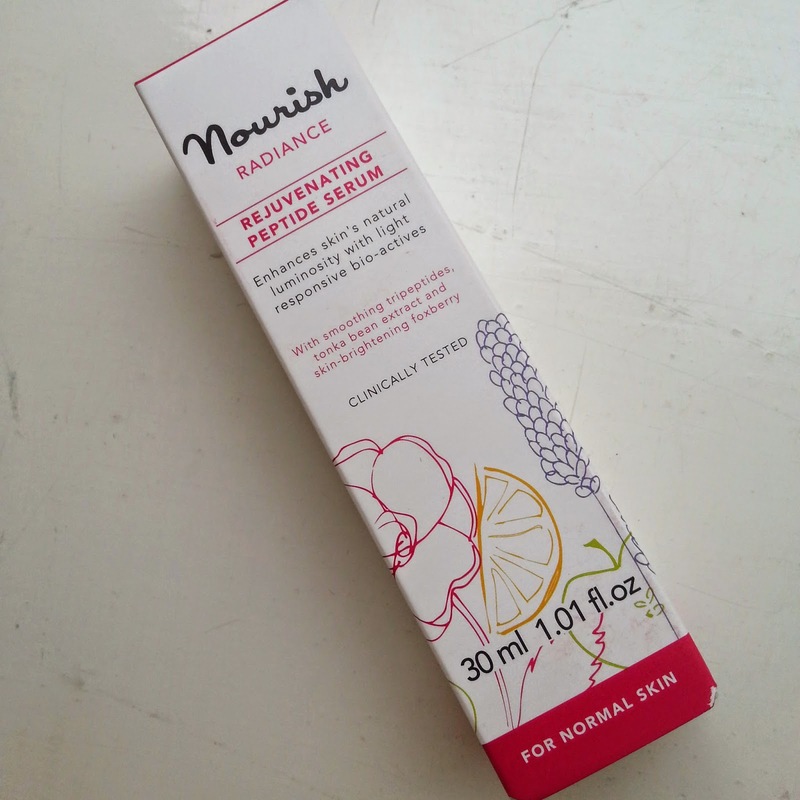 I'm also a big fan of the Nourish Argan Skin Renew* which I spoke about *here* and that works really well when used alongside the serum to lock in moisture and give nice long lasting effects. What do you think of the Nourish range? Have you tried many of their products? I've always loved stationery and as I get older and busier I decided its time that I needed a diary. I've never kept your typical "dear diary" type of journal but I wanted my planner to combine functionality along with memories and creativity. My planner has appeared in a few photos on my blog and Instagram and I've had several emails and comments asking me to show more of it. 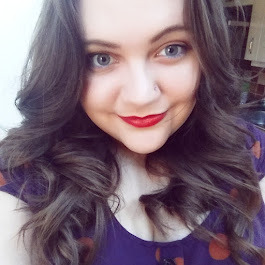 So I thought I would write a few posts about my planner; how I arrange things, how to keep it pretty and practical, supplies, the essentials that I carry around with me also some inspiration for both myself and you peeps. So, lets start with the planner essentials that I carry with me. One of the most useful planner accessories you can get are the little plastic seal wallets that are made to fit Filofax (you can pick them up in Paperchase for £2-3). I keep one of these in the front of my planner to store all my useful bits and pieces. Below is what I carry. I always carry a ruler, pencil and several different pens. I started using erasable pens a couple of years ago after finding them in Muji and have never turned back. They are great for diaries and planners as there is no need to cross things out-just use the end of the pen to rub things away and write over the top. I seem to use the Sharpie all the time for various things so that lives in there as well. 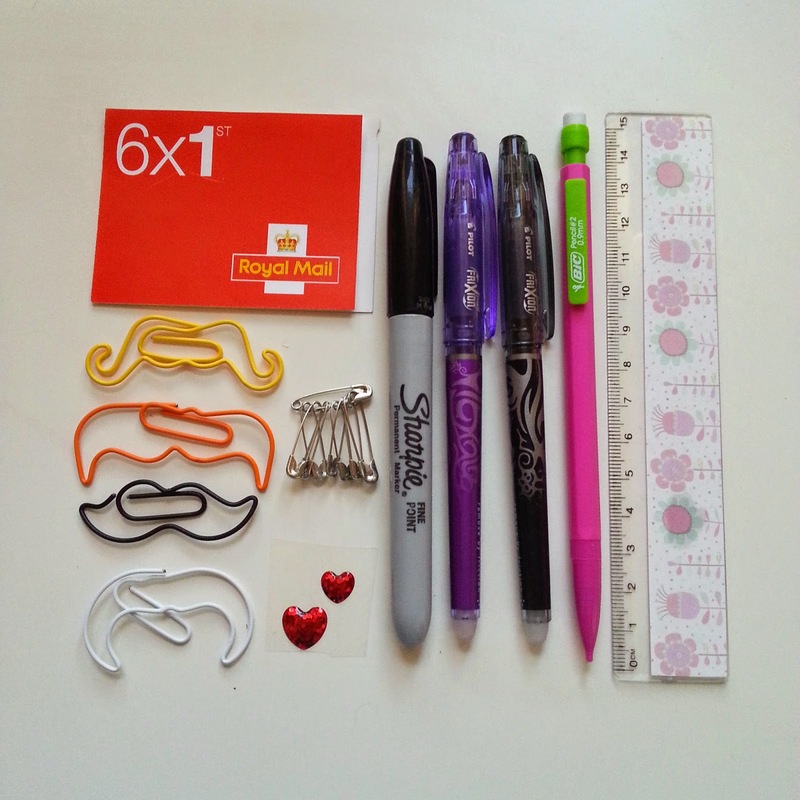 The paper clips are a little cumbersome to be honest so don't get left in the planner pages for long, but I do use them to keep lists secured or to keep important receipts, notes or vouchers from falling out whilst I'm on the move. You never know when you might need a stamp or a safety pin, so I keep both in here so that I can always find one if I need it. Do you keep a planner? What are the essentials that you always carry with you? 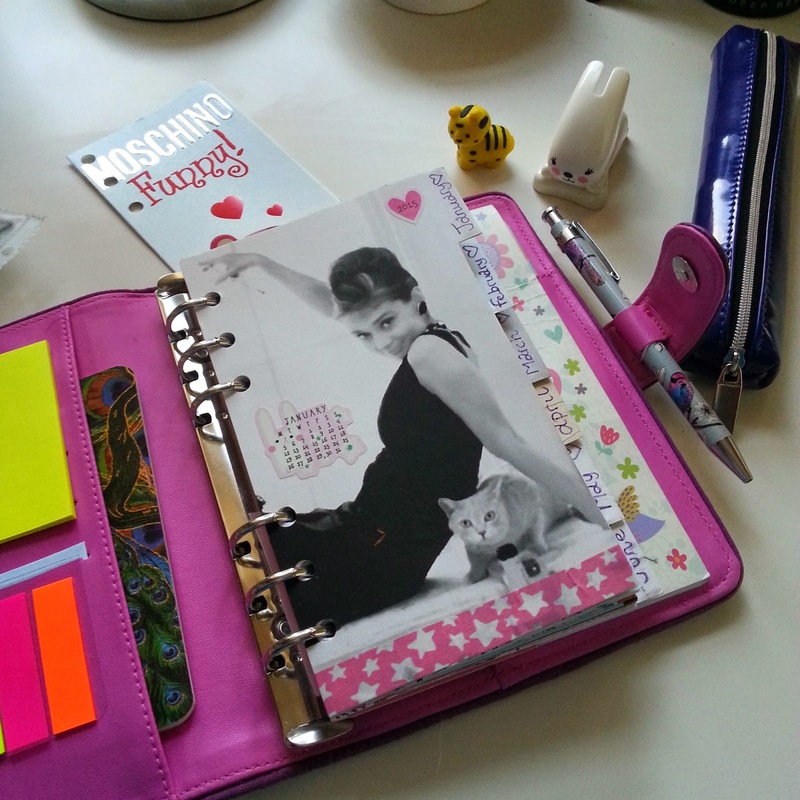 Is there anything in particular that you would like to know or see about designing and keeping a planner?